The Melrose Public Library was born officially at a Town Meeting on March 27, 1871. One end of the Selectmen’s room in the Waverly Block on Essex Street (now known as Waverly Apartments) was made available for a modest collection of books. In 1874, the library was moved to a room at the newly constructed Town Hall and in 1895, due to a need for more space, the library was relocated to the new Y.M.C.A. building on Main Street. With the arrival of the twentieth century, the fifty year old Town of Melrose became a City – a City that had grown in half a century from 1,200 to 12,000 citizens. Aware of the urgent need for a larger library facility, Mayor John Larrabee and other citizens persuaded Andrew Carnegie to make a substantial contribution for the construction of a library building. A handsome new building, recognized as the bases for the present enlarged plant, was erected on the West Emerson Street site of the old High School, which had been destroyed by fire in 1897. The new building opened on April 15, 1904. A growth collection of materials and increasing usage by the community necessitated the construction of an addition to the building in 1963. 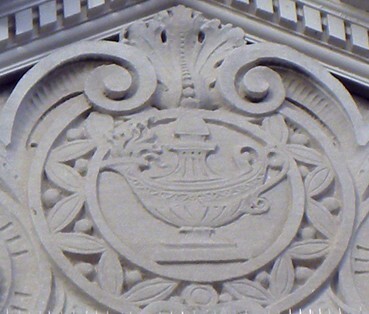 In 1990, thanks to the diligence and perseverance of a number of people, the library was awarded a Massachusetts Library Construction Grant which enabled major improvements to be made to the interior and exterior of the library. With a highly competent and dedicated staff, building-wide wireless internet access, and a variety of resources, the Melrose Public Library stands ready to provide high quality, cost effective library service.